About - jessica Care moore's Black WOMEN Rock! jessica Care moore founded Black Women Rock! in 2004 at the National Black Arts Festival in Atlanta, Georgia. The 90 minute show is a tribute to pioneer rocker, Betty Davis and features some of the most progressive vocalists and women musicians in the country. A multi-generational performance, the show is a beautiful and necessary response to the void in music concerts and education around women in the rock and roll genre. BWR is an authentic musical, cultural and rock performance and has inspired many women and artists across the country, and in 2013 I am focusing on women who rock throughout the diaspora.The entire weekend includes live painters, an art exhibition and workshop an intimate talk geared toward young women who want to work and thrive inside the music industry, on their own terms.he majority of the core players for the BWR orchestra are based in Detroit. It has been a dream for me to bring this beautiful production to cities across the US and Abroad. 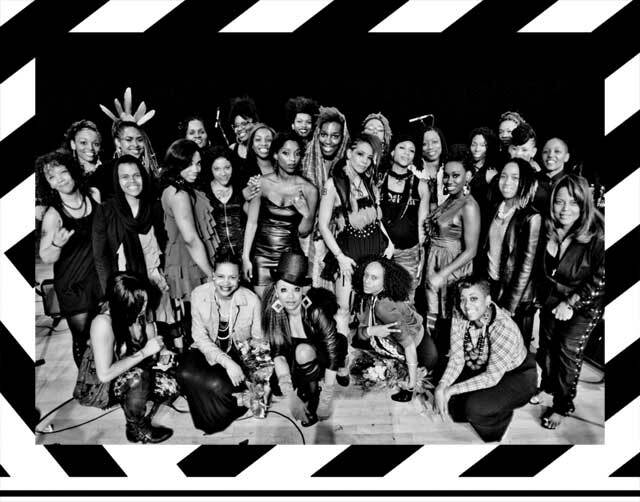 The Black WOMEN Rock Orchestra is based in Detroit, and when we travel we will balance the show with local musicians.We have sold out The Charles H. Wright Museum in Detroit three years in a row and are preparing for our 4th show in 2013! A few weeks ago we brought out thousands of people when we headlined the Summer Jam Festival in Campus Martius, and put up our art exhibition in the CompuWare building.We double billed with Erykah Badu at Chene Park (Detroit’s largest Amphitheater) and we headlined the African World Festival and brought out thousands of people to the Saturday night main stage in 2011. We are working to build an international movement of women of color who play music, raise children, and create institutions around their art. Black WOMEN Rock! plan to evolve into a music and mentoring summer camp for girl musicians. We are very excited about the launch of our BWR Mobile App this summer! !